Thurston County is growing, but we aren't building enough housing to keep up with the increase in population. 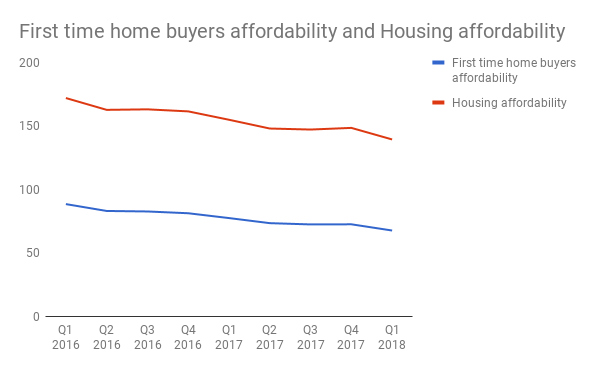 So, housing affordability continues to fall and housing affordability for first time home buyers is approaching an all-time low. The Rustad Center at the UW recently posted up to date housing market data for the first quarter of 2018 showing how a constricted housing market is driving up costs in Thurston County. 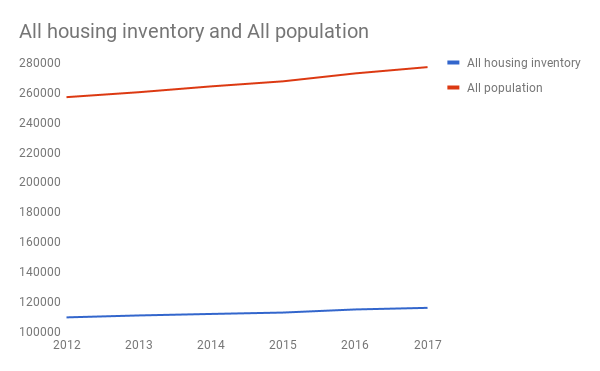 First of all, our population is slowly growing out of our supply of housing in Thurston County and we aren't producing enough to keep up. Since 2012 we've only built 6,000 housing units in the county, while our population has increased by 20,000. Obviously, more than one person is going to end up living in each unit. But our ratio of person to housing unit has also changed from 2.34 to 2.39. Still slow, but it is going in the wrong direction. When we look out how we're building housing, we're still very much depending on expensive single-family homes. Only once since 2012 did the number of multi-family units come close to single-family units. In 2016 over 900 multi-family units were built in Thurston County, while over 1,000 single family units were. 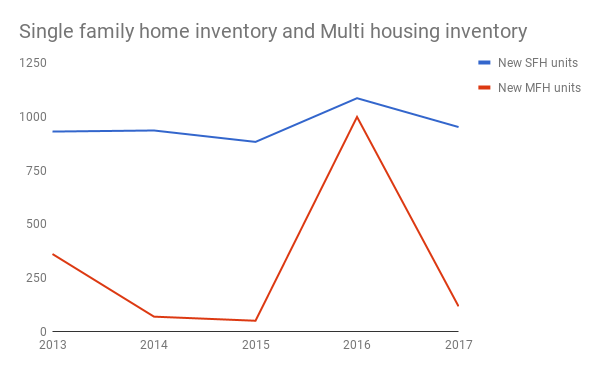 In most other years, single family-units outstripped multi by at least three times. At the same time, we're seeing a drop in housing affordability, especially for first time home buyers. The current condition for first time home buyers in Thurston County is already dire, well beneath what would be considered affordable overall. According to the Rustad Center, this means that a household earning 70 percent of the median household income (like first time home buyers) had only 67 percent of the income required to purchase a typical starter home in Thurston County. The starter homes that exist are unaffordable for people that would otherwise buy them. This is notable because (as has been pointed out elsewhere), proposals like the Missing Middle in Olympia is aimed at buyers between 80 and 120 percent of median income. While 80 percent is not 70 percent, it sure does get us closer than single-family homes that are much more expensive than low-density multi-family homes.